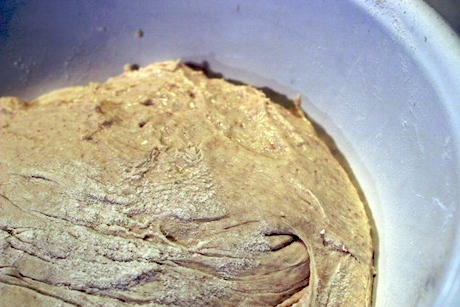 Bread is a living thing; the bread dough incorporates the very air where you are. It’s one of the mystical things about bread baking. So here’s the question: this morning’s dough ferment smelled exactly like fruity ripe bananas. Why?? I’m in a loft in Soho, not anwhere near gentle island breezes where bananas grow. What is blowing in the wind today? And for the passionate bread bakers out there, take a look at this website and forum: Sourdough Companion. These guys are committed to their bread!